Twenty-five thousand people can’t ALL be wrong. That’s about how many spectators waded up to Oahu’s North Shore Thursday to watch the Quicksilver in Memory of Eddie Aikau, one of the most significant surf events in the world. The Hawaii big wave surf contest has only been held nine times since 1985 and is only held when waves are consistently clean and around 40 feet during daylight hours for at least six to eight hours. The last time the Eddie was a go was on Dec. 8, 2009, according to the Honolulu Star Advertiser. It all started just after 7:00 a.m., when Clyde Aikau, brother of the revered Hawaiian waterman Eddie Aikau, made the announcement that the contest was a go. “Today has to be one of the best days I’ve seen in 40 years,” Aikau, who won the meet in 1986, said over the public address system. According to many of the surfers at the event, wave faces were at least 50-feet, and some surfers noticed waves with 60-foot faces. 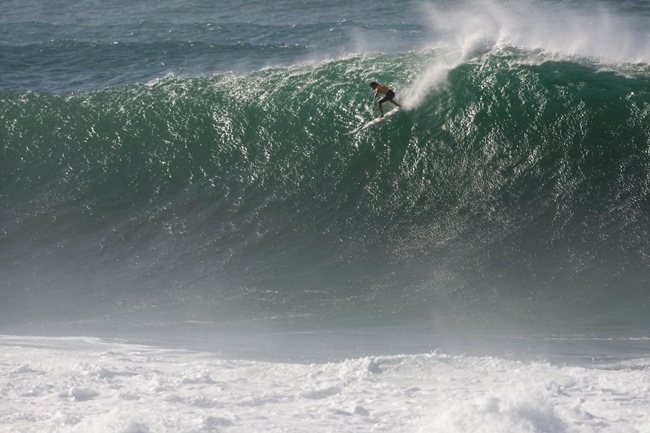 In 2009, the conditions were just right for the big wave surf contest. However, until Thursday, the contest hadn't been held for six years due to surf conditions that didn't meet the criteria. The monster surf prompted continual safety warnings, especially from Eddie Aikau’s sister, Myra, and brother Soloman. “Safety first,” they both told the competitors. In fact, the Honolulu Star Advertiser reports that lifeguards constantly told spectators to watch their children and to keep them away from the rivermouth area of the beach. Lifeguards on all-terrain vehicles drove out to warn spectators to go further inland. According to the newspaper, a Coast Guard helicopter and patrol plane took turns flying over Waimea Bay, after someone reported seeing a possible swimmer in trouble on Wednesday. Julie Negron of Kapolei, her husband, Keir, and their three friends told the Honolulu Star Advertiser that they showed up at midnight, waited around for Waimea Bay beach park to open at 5 a.m. and then got slammed by a wave while watching the meet, losing three iPhones and a pair of slippers in the process. Soaked, they walked back to their car to regroup, but planned to return to the action. For visitors hoping to get in on the action, traffic was heavy, but not as bad as Feb. 10, when the contest had a green light, but was called off in the morning when the Eddie-sized waves did not materialize. Despite the traffic, nearly all the spectators who played hookie from work and school said the trip was well worth the effort. 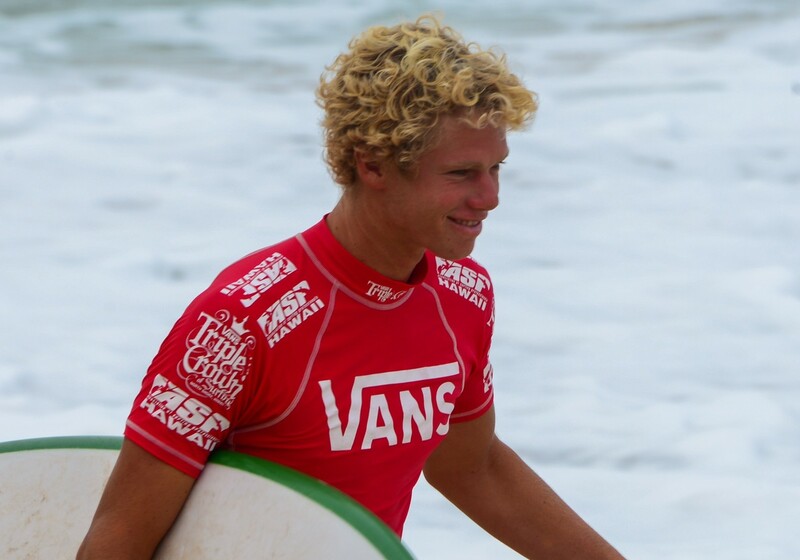 And, it was a treat for many in Hawaii to see a local boy, John John Florence, 23, of Haleiwa, beat out 27 other world-class, big-wave surfers to win the 8-hour contest. 23 year-old John John, Haleiwa, won this year's Quicksilver in Memory of Eddie Aikau which was held Thursday, February 25th. Although wave heights are expected to decrease after Thursday, watching big waves on the North Shore is a must-see experience for visitors to Oahu. When you book a Circle Island Tour through Hawaii Aloha Travel, you can visit famous Waimea Bay, site of the Quicksilver in Memory of Eddie Aikau, and you’ll often have the chance to see big wave surfers in action. Big waves, famous surfers, and a Hawaii big wave surf contest that honors the memory of a Hawaii great: the Quicksilver in Memory of Eddie Aikau has it all. So, mark your calendars for next winter — you never know if you’ll have the chance to experience this amazing event again!